Predictability of a routine can help a child with nighttime wetting feel comfortable and relaxed, especially when they can contribute to planning their nightly routine. As a mom of four, I know how chaotic bedtime can be. One of my kids is finishing up homework, another wants me to read them a story, I have to give another bath – all while I’m trying to wrangle them to go to bed. What has helped immensely has been establishing a nighttime routine and sticking to it. In my experience as a child development expert, the consistency and predictability can be good for children, especially when you add bedwetting to the equation. 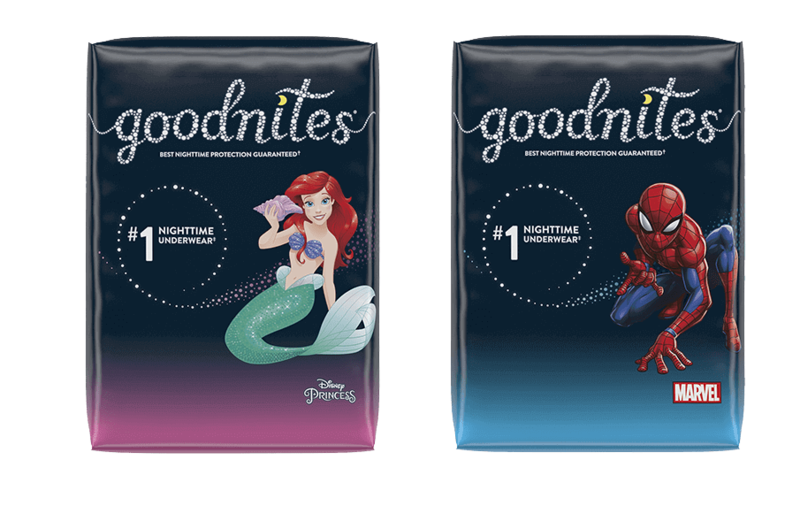 Adding GoodNites to nightly routines can also help reduce stress since parents don’t need to have a conversation about bedwetting every sing night – it just becomes part of the routine. These aren’t hard and fixed rules, but the predictability of a routine really helps. Get the kids involved by asking them to remind you what’s next. Give them more flexibility and responsibility as they get older. Nighttime has actually become one of my favorite parts of the day, when I get to unwind with my children, hang out with them and read to them. A bedtime routine makes that possible. It’s important to do what works best for your family, but the talking points below can help initiate a conversation about routines with your child. I think it would be helpful for us to talk about our family routine at night. I need to make sure we can do things we need to do like brush our teeth, but also do fun things like reading a book before bed. What I really want is for you to have a good night of sleep so we can have fun during the day together. Do you like reading a story first or taking a bath first? Do you like going to the potty right before bed or do you like to brush your teeth last? When do you want to put on your GoodNites? What are your favorite PJs to wear? Let’s draw a fun list of things we’re going to do together every night. What do you think?